Mrs. Fualelea Fala’s recent doctor’s visit changed her plans for the holidays. 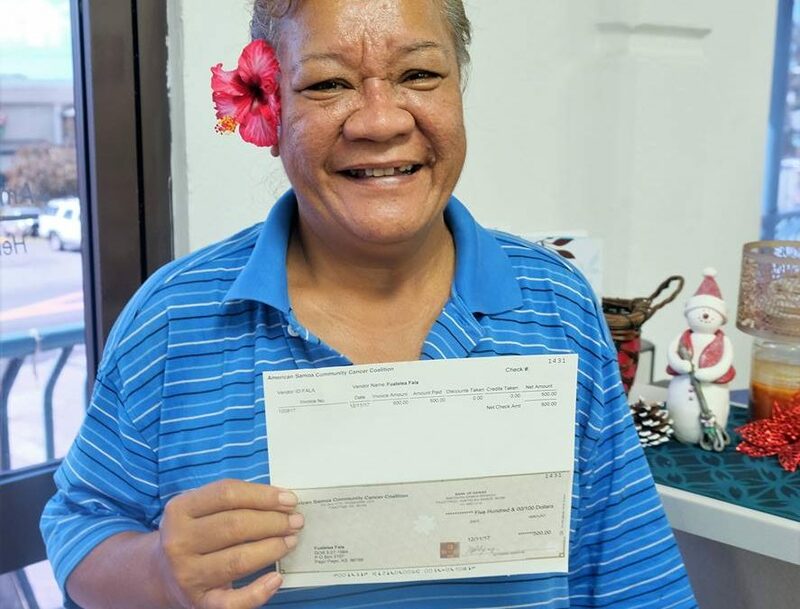 Because chemotherapy and radiation is recommended, Mrs. Fala graciously accepts the $500 stipend to pay for C.I. and plane fare off-island where her daughters will be assisting her during her medical treatment. She is sad to be leaving behind her sister’s children, who have been under her care since the passing of her sister. Also, her husband who receives weekly dialysis at LBJ.Having to take leave from work has only added on to the many obstacles she is facing. But without immediate treatment, she knows her condition will not get better.